Full of majestic architectural monuments, priceless cultural treasures, cobbled thoroughfares, atmospheric courtyards, legendary cellar bars and literary cafes, Kraków's historic Old Town is the pride of Poland, one of Central Europe's most beautiful architectural showpieces, and one of the world's most popular tourist destinations. The most important Polish city to not come out of World War II looking like a trampled Lego set, the rich cultural and historical value of Poland's former royal capital earned it well-deserved inclusion on the first-ever UNESCO World Heritage List in 1978. Already a busy medieval commercial centre by the 10th century, the nucleus of Kraków's Old Town is Rynek Główny - the largest medieval market square in Central Europe. Characterised by its unique upside-down teardrop shape - dictated by the city's former medieval defensive walls extending from Wawel Castle to the south - today the Old Town is surrounded by the charming belt of public green space known as the 'Planty.' 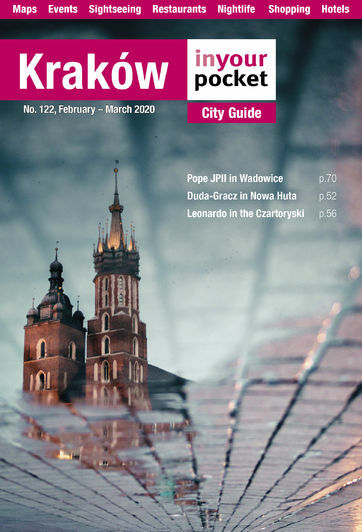 Standing in place of the city's medieval moat, the Planty draws a clear line around the original medieval centre of Kraków, however most modern definitions of Kraków's 'Old Town' extend to the 'aleja' - that is, the two-lane motorway encircling the town. For our purposes, we have given a slightly wider scope to the Old Town so that it can basically include any venue within reasonable walking district of the market square (including some of the far side of the aleja), thus avoiding the creation of superfluous 'districts' within the centre of Kraków. Any exploration of Kraków’s Old Town should start with the ‘Royal Route’ – the historical coronation path of the Polish kings when Kraków served as the royal capital from the 14th century to the very end of the 16th century. Most of the Old Town’s prime sights lay along this route from the Floriańska Gate to Wawel Castle via the market square, and we detail the sights along the route in depth in our Royal Route walking tour. Other Old Town highlights outside the Royal Route include the fabulous 20th century art collection on the top floor of the main building of the National Museum. The Old Town is also home to the second oldest university in Central Europe. Jagiellońian University’s Collegium Maius is the school’s oldest building and was the studying place of Copernicus. Take an hour out to see the incredible library and lecture hall, as well as the oldest surviving globe in the world to depict the Americas. Finally, anyone looking to do some bizarre bargain hunting should head to one of Kraków’s catch-all marketplaces, with Stary Kleparz and Hala Targowa – especially during the latter's Sunday morning flea market - being bona fide cultural experiences in their own right. A posh effort inspired by the age of Mozart with antique furnishings paired with state-of-the-art trimmings. Prince Charles once bedded down here and this is one place which guarantees the memorable stay that this historic city requires. The National Museum has 11 branches in Kraków, with this monolithic structure - apparently built over the course of half a century from 1935 to 1989 - being the main administrative branch and landing spot for the institution's most ambitious exhibits.